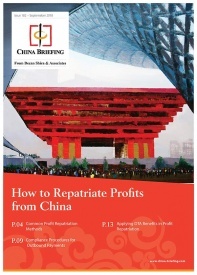 China’s double tax avoidance agreements (DTAs) can be used to avail lower tax rates while making outbound payments. However, DTA benefits are not automatically applicable to everyone. 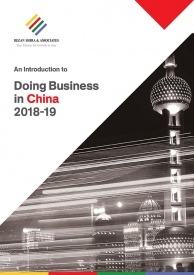 Foreign invested enterprises and their overseas headquarters must satisfy certain qualifications and go through relevant procedures to obtain the benefits. To apply for DTA benefits, the applicant must be a tax resident of a country that has an effective DTA with China, and the applied benefits must qualify for tax exemption or reduction as stipulated by the DTA. Other details in the DTA must also be satisfied to determine whether the applicant is qualified, and whether the applied benefits are eligible to be enjoyed. Among these, “beneficial owner” is one of the basic concepts that is important when applying for DTA treatments on dividend, interest, and royalties. Beneficial owner refers to an individual, company, or any other group having the ownership and right of control over the income or the right or property derived from the income. A beneficial owner should be engaged in actual operating activities; therefore, an agent or a designated payee does not constitute a beneficial owner. In determining whether a non-resident enterprise is indeed the beneficial owner, the SAT has issued a flurry of related circulars and protocols since the promulgation of the CIT Law in 2008, the most recent of which is the Announcement of State Administration of Taxation (SAT) on Issues Relating to “Beneficial Owner” in Tax Treaties (SAT Announcement  No. 9). To determine the “beneficial owner” status of an applicant who needs to enjoy the tax treaty benefits, a comprehensive analysis should be carried out, taking into account actual conditions of the specific case. Aside from contracts for the transfer of copyrights, patents, proprietary technologies, and other usage rights based upon which royalties are derived and paid, there exist contracts between the applicant and a third party pertaining to the transfer of copyrights, patents, proprietary technologies, and other usage rights or ownership. 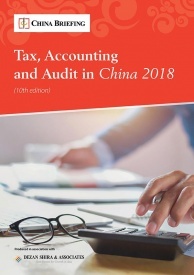 To reduce the burden of the applicants who want to enjoy DTA benefits, China tax bureaus created the “safe harbor rule”, where the applicant can be determined as a beneficial owner without going through the comprehensive analysis based on the unfavorable factors, upon satisfying certain conditions. The applicant is a subsidiary that is 100 percent directly or indirectly owned by one or more persons covered by the safe harbor rule (In the case the subsidiary is indirectly owned by the persons covered by the safe harbor rule, the multi-tier holders should be either Chinese residents or residents of the DTA counterparty). 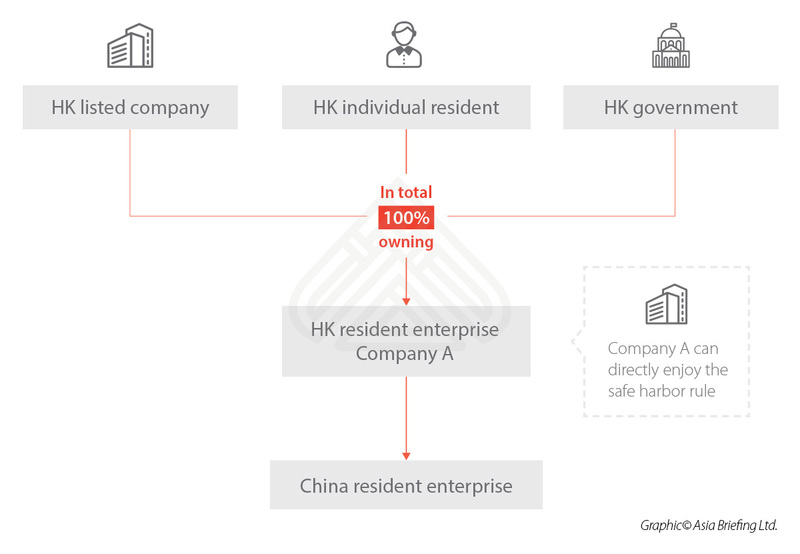 For applicants deriving dividends from China who neither pass the beneficial owner unfavorable factor assessment, nor are qualified to enjoy the safe harbor rule, there are other opportunities to qualify as beneficial owner. Circumstance II—Where the above-mentioned shareholder is not a resident of the country (region) for which the applicant is a resident, then the above-mentioned shareholder and any intermediate shareholders should be qualified to enjoy the same or better DTA treatment compared to that is entitled to the resident of the country (region) for which the applicant is a resident. 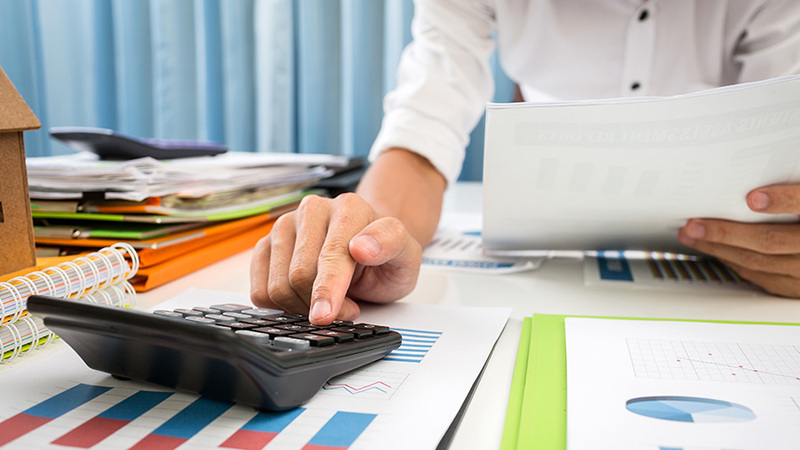 Under the current law and regulations, non-resident taxpayers may determine whether they are qualified for the tax benefits by themselves and enjoy the preferential tax rates under the tax bureau’s afterwards supervision and management. The non-resident taxpayers may either choose to claim the benefits on their own or finish the application procedures with a tax withholding agent. 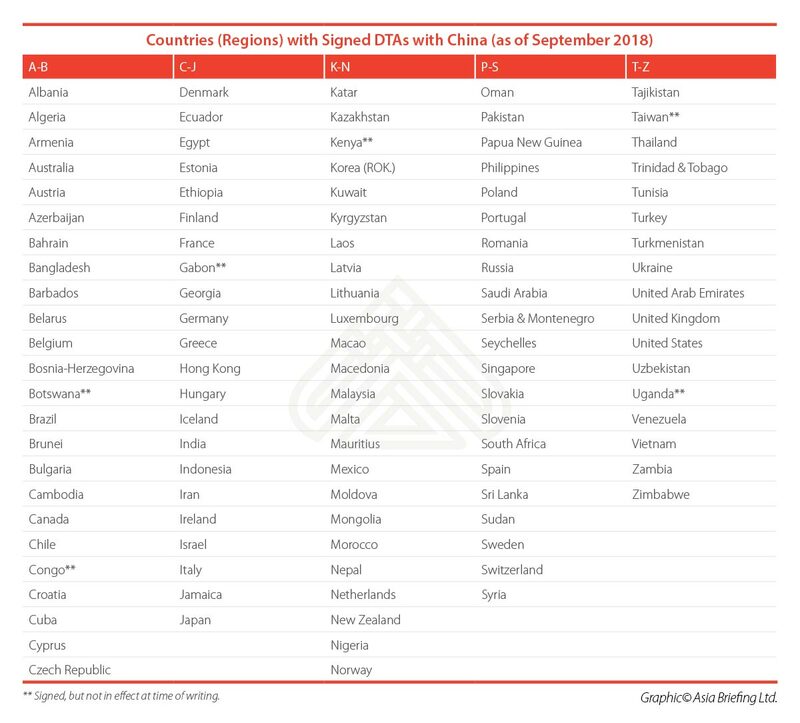 As of September 2018, China has signed DTA with 108 countries or regions, among which 102 treaties have been in effect. Editor’s Note: This article was first published in November 2014 but has been updated to include the latest tax and legal developments.